From Microsoft's former Chief Xbox Officer Robbie Bach, comes a unique book that provides a simple yet robust framework that can be used to tackle almost any problem. Bach takes business, non-profit, and community-engaged readers on the Xbox journey -- a triumphant and personal saga from garage-shop beginnings to business success. 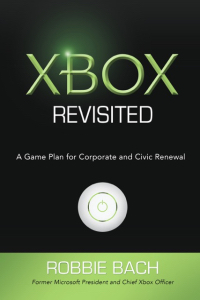 Using the 3P Framework of Purpose, Principles, and Priorities developed by the Xbox team, Bach describes the process used to revitalize a beleaguered business and then applies those lessons to our most difficult community issues and the challenges of nation at a crossroads.